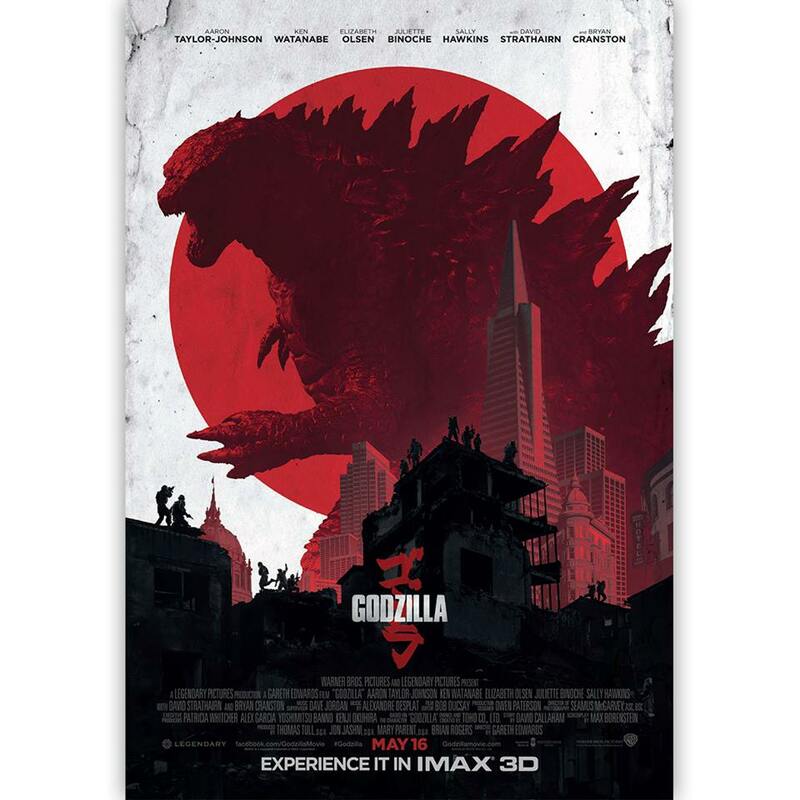 The new Godzilla had an advertising campaign that really impressed me ever since I saw the first teaser trailer last year. There was a scene in that first trailer where the great David Strathairn is delivering a speech to a group of soldiers about the unknown and unpredictable enemy they are about to go up against. The music playing is reminiscent of the music in Kubrick’s 2001: A Space Odyssey. The soldiers jump out of an airplane into a dark and cloudy sky, red smoke following them down as if they are descending into hell. The soldiers fall through some black clouds and we see just slightly the side of a mammouth creature. The images from that trailer really left its mark in my head to expect something spectacular. Unfortunately, that scene was butchered at some point during post-production, or was cut exclusively for the trailer. David Strathairn’s speech is gone but the soldiers jumping out of the plane into a devastated San Francisco remains. That really sums up this version of Godzilla. It was frustrating because I could tell from certain scenes that a visionary director with a keen artistic eye orchestrated it, and then the next scene was a basic standard action set-up or a banal conversation to advance the plot. I wish the same people who edited the trailer also edited the feature. The plot itself was nothing new. An unknown monster escapes from the Philippines, ends up at a nuclear power plant in Japan and our main characters mother dies from the disaster. 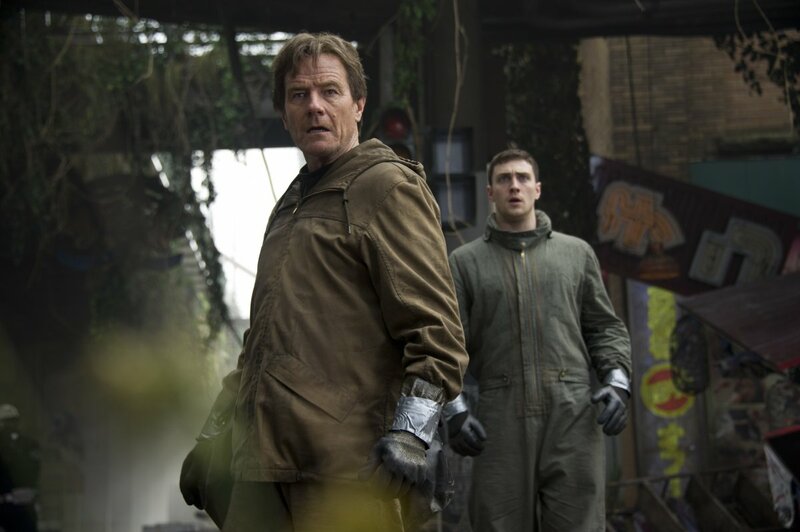 We then flash forward fifteen years to the present and find our hero (Aaron Taylor-Johnson) with a child and his wife (Elizabeth Olsen) and then meet his father (Bryan Cranston) who is still obsessed with finding out what really happened to his wife at the nuclear power plant. 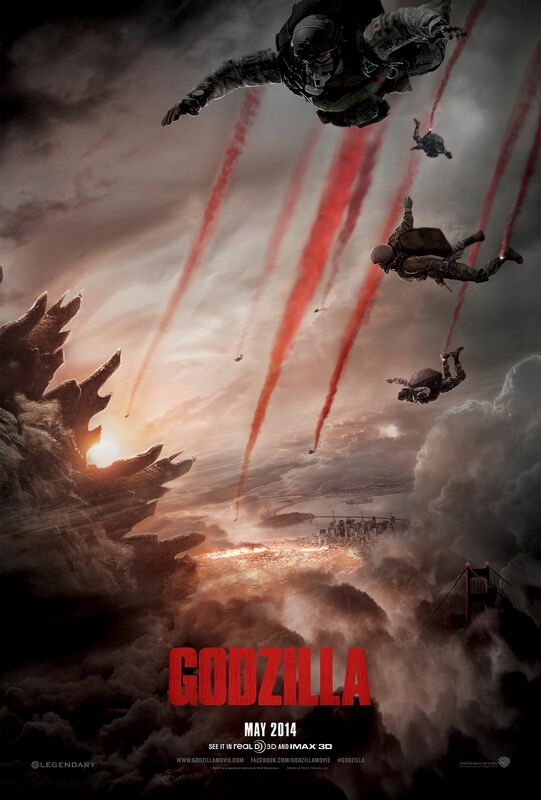 Trouble ensues, we learn of a government cover up (led by Ken Watanabe and Sally Hawkins), and pretty soon we see some big monster action and destruction of San Francisco that Michael Bay would be proud of. This film is littered with so many great actors but none of their talents are being challenged or even put to good use. Only Bryan Cranston emerges as giving an above average performance and that is only because of how his character was written in the script to scream many of his lines out of desperation as he seeks the truth while everyone around him acts like he is crazy. 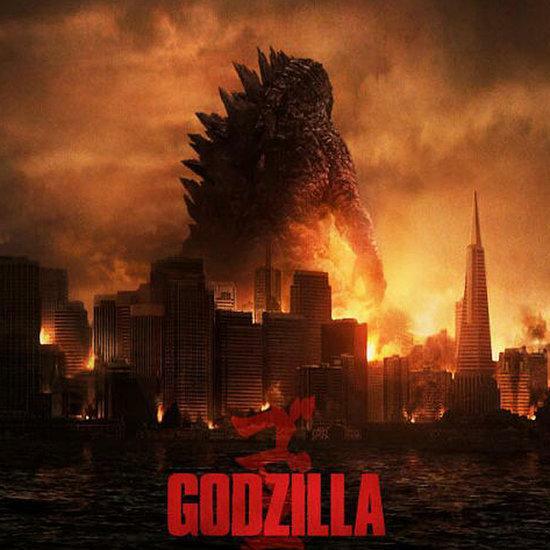 Such a shame because its director Gareth Edwards did a masterful job with his debut film Monsters (2010) that he seemed like a perfect fit to bring back one of the most classic of all movie monsters and get the bad taste out of audiences mouths from Roland Emmerich’s monumental failure Godzilla (1998) with Matthew Broderick and that Puff Daddy/Jimmy Page song “Come with Me”. This Godzilla was missing that sense of awe that the previews portrayed. Instead we are left with a very standard formulaic “monsters creating destruction in big cities” movie. It did not have any moments that stirred my imagination and transported me to a place only very special movies can. Pacific Rim managed to capture that amazing feeling when I sat in the theaters last summer and had my mind blown away by giant robots fighting monsters from another dimension beneath the sea. This Godzilla did not come close to creating that atmosphere. The editing was not as pulse-pounding as it should have been, instead I feel like each scene was cut together just to advance the plot, not to develop the characters or establish any sort of mood. They were not even edited that well as characters seemed to just appear and disappear whenever they were needed. The visual design was surprisingly uninspired. There were scenes involving giant bones, jungles, oceans and cities under massive destruction. 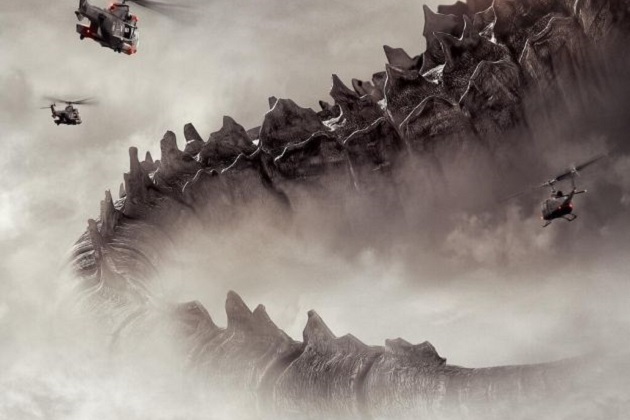 Movie-goers have seen all of these images before and done better from Alien (1979) to Independence Day (1996) to Cloverfield (2007) this Godzilla follows a standard summer movie formula and nothing else. After this was over my confidence in Gareth Edwards as a filmmaker remains. I believe that time will tell that in the right circumstances he can make a great film with a large budget. Guillermo Del Toro made a monster movie I was not fond of back in 1997 called Mimic, and look at how his career has turned out. 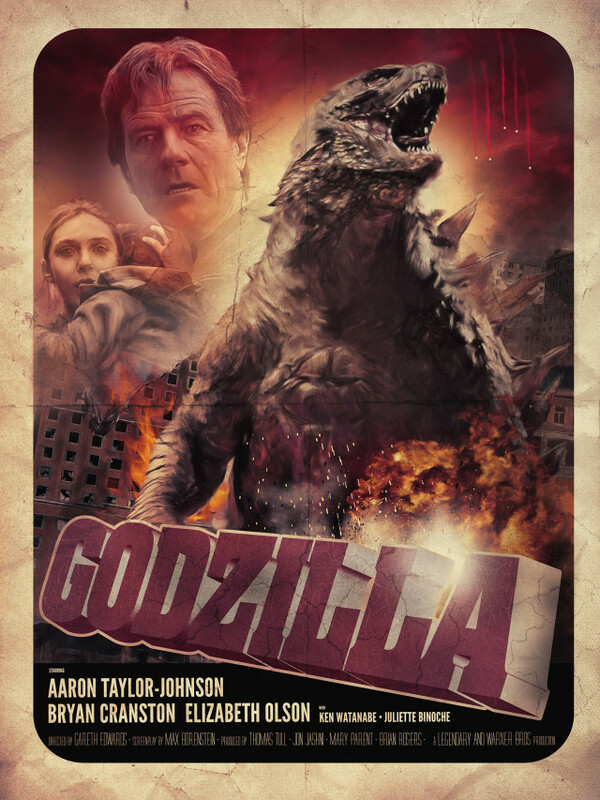 Gareth Edwards does treat the subject matter, Godzilla himself, with the utmost respect and admiration and the scenes involving the title monster and the large scale fights are very well done. I was still so ultimately disappointed by this Godzilla that I cannot in good conscience recommend it to anyone. Save your money and watch Pacfic Rim, directed by Guillermo Del Toro, instead. Wow. Great incite on a movie’s trailer vs. the entire movie itself. I’ve been impressed by scenes in trailers, then after enjoying the entire movie feeling just a little disappointed because the trail’s entire scene was cut. I’ve never heard anyone speak out on this foolish practice. Do the film editors or producers really think their fans are that forgetful? If it’s good enough for the trailer put it in the movie!